See scan - perfect condition. Comes with original case in mint condition. 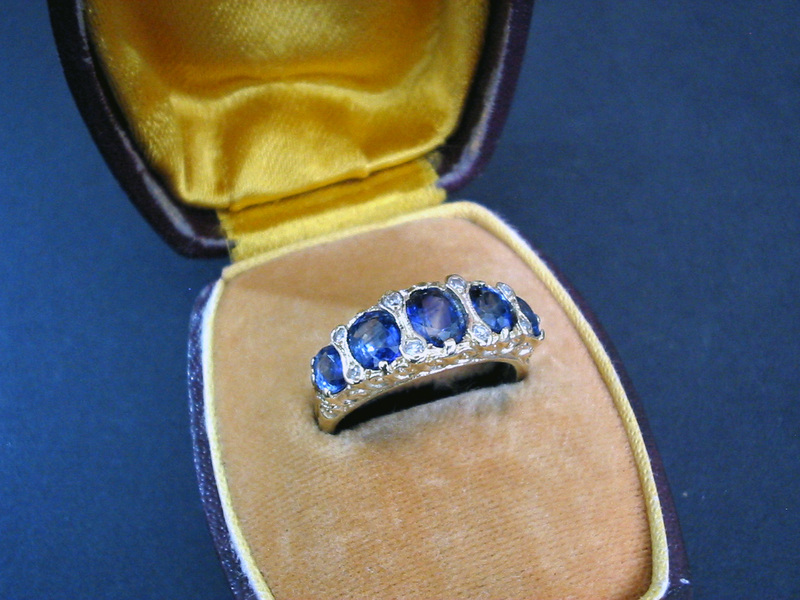 This is a nice and rare early Victorian yellow gold, sapphires and diamonds five stone ring. Total estimated weight of sapphires is 1.5 - 1.8 carats. The five sapphires set with brilliant cut diamond points to each stone at shoulders carved in yellow gold. Approximate estimated weight of diamonds 0.2 carats, gross weight 4.6 grams, circa 1840. The ring is 54 3/4 (UK size O, US size 7 1/4). Nice and rare antique jewelry / jewellery collector piece and one of the nice Victorian sapphire and diamond jewels and rings.